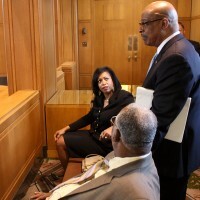 This content was published: March 18, 2013. 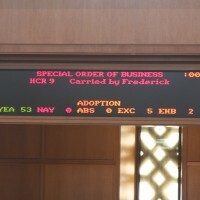 Phone numbers, email addresses, and other information may have changed. 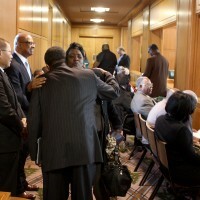 Friends, family and colleagues always said Harold Williams, Sr., could fill the room with his personality and passion. 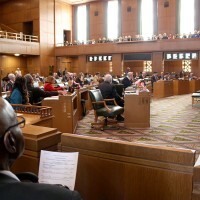 On Monday, March 4, Williams’ life and legacy filled the House Chamber of the State Legislature. 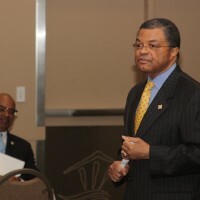 It was Harold C. Williams Sr. Appreciation Day at the Capitol Building in Salem, where more than 50 friends, family and community leaders celebrated the life of the longtime PCC board member and North Portland community leader. 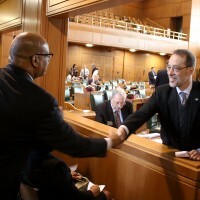 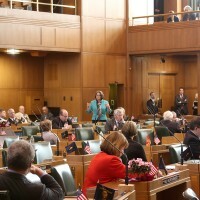 The Oregon House of Representatives voted 53-0 in favor of a resolution (House Concurrent Resolution 9) officially commemorating Williams’ life. 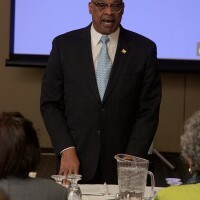 In the morning, PCC hosted a breakfast at the Salem Convention Center in his honor where friends shared how this bigger-than-life man impacted their lives. 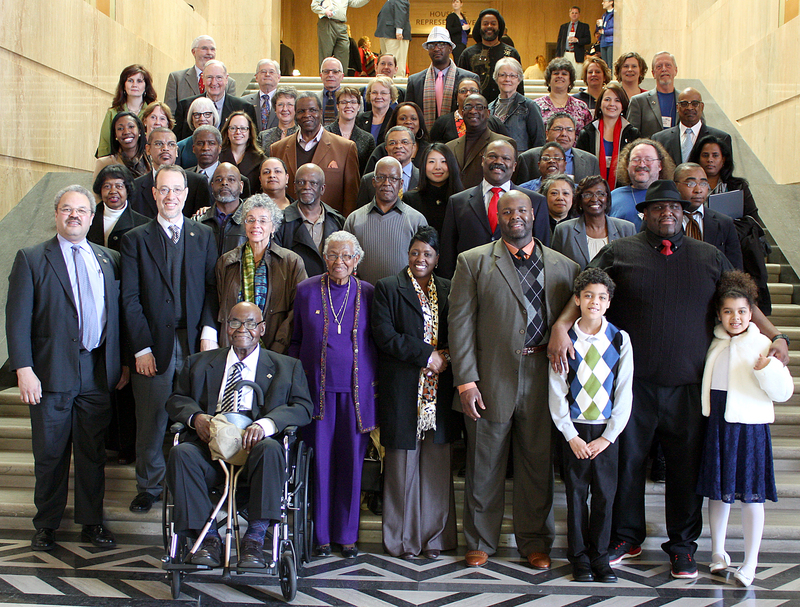 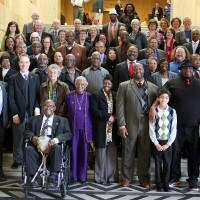 Family, friends and the community gathered at the state Capitol Building in Salem on March 4 to recognize Harold Williams Appreciation Day in the Legislature. 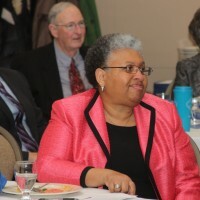 President of contracting firm CH2A Associates, Williams (1943-2012) was appointed to the college’s board of directors in 1990 to represent North Portland and portions of Columbia County. 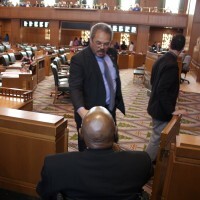 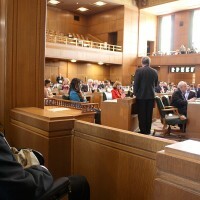 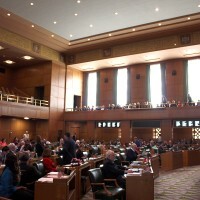 The former Oregon Community College Association board member used his clout to testify on bills of significance to community colleges, lobbied to bring college services to poorer, underserved parts of the community and was instrumental in ensuring that PCC construction contracts would meet minority-contracting goals. 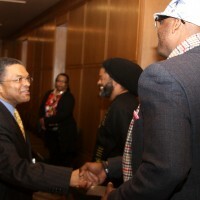 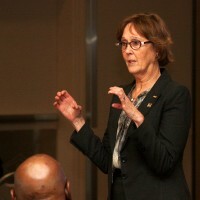 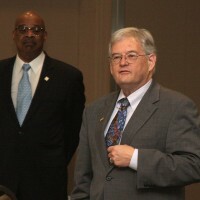 In 2010, Williams was selected for the Association of Community College Trustees Pacific Region Trustee Leadership Award. 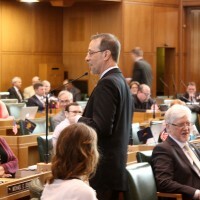 At PCC, Williams helped build up the Cascade Campus into a full-service location and aided in the creation of the Jefferson Middle College Program, which enables Jefferson High students to earn college credit at Cascade while they’re still enrolled in high school. 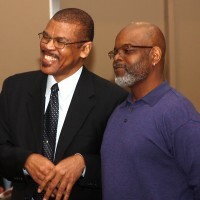 The Jefferson alum also loved the college’s basketball teams, procuring new uniforms and saving them from the budget ax because he felt they were too important to student success. 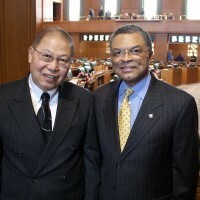 Williams, who was the first-ever Affirmative Action Director and Equal Opportunity Coordinator for Oregon under Governor Bob Straub in the 1970s, served as chair of the African American Committee of Community College Trustees. 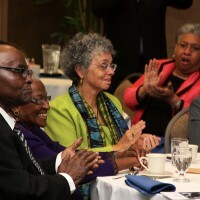 He contributed to many local African American committees and organizations, volunteering hundreds of hours to civic, religious and cultural activities. 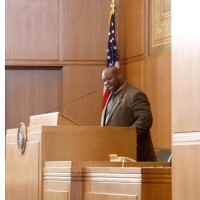 His big passions were alternative programs for at-risk students, expanding mentorship options and overseeing the “Success Academy” where spiritual and cultural leaders assisted PCC students who had been in the juvenile justice system. 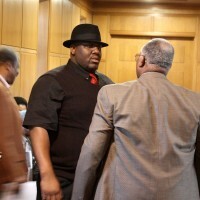 One of his brothers, Albert Brown, seemed to effectively sum up Harold’s legacy. 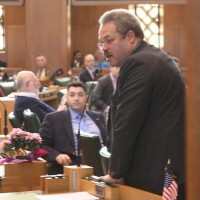 I happened to be in the house gallery this particular morning and felt such a sense of pride hearing Harold’s praises being sung and his words of wisdom being quoted from the House floor. 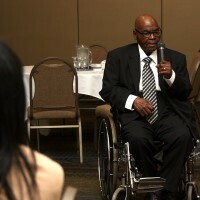 Harold left us a lagacy… it’s up to us to live that legacy.